People always tell you that, but you never realize it until you’re a month from the big day and all of these last minute little things keep popping up. Which people also warn you about but you just assume it’ll be fine and you have enough budgeted. 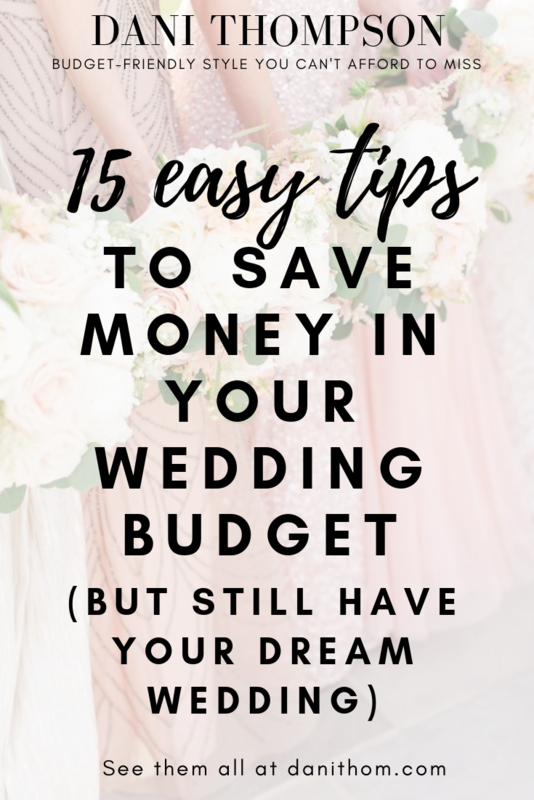 Since I know how stressful it can be to plan a wedding, I wanted to share my best tips for cutting costs as much as possible while not sacrificing your dream wedding. 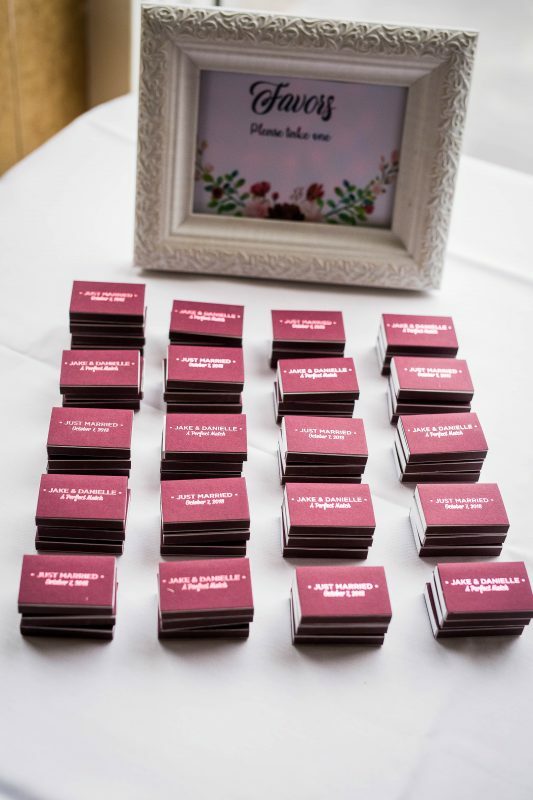 The photos above are some of the ways we saved money at our own wedding! This cut our venue bill significantly because we got married on a Sunday. Memorial Day and Labor Day are huge wedding weekends for this reason. The day after our wedding was Columbus Day so a lot of people had off work anyway. It also saved us money with our photographer and DJ who cost more for Saturdays. Peak months are typically April-October, so getting married outside of them is also less expensive. This saved me hundreds of dollars! I did a mixture of fake and real flowers. All of my bouquets, corsages and boutineers were fake, but all of the greenery I used for the pergola and the centerpieces were real. When I told people the flowers were fake, they didn’t believe me and actually went to see for themselves! My sister had fake flower bouquets as well, and we all got to keep them. Mine is currently in my office in a vase as decor, and I wanted my girls to be able to keep theirs as well if they wanted. Flowers are a huge expense and you can’t keep them! Michaels and Hobby Lobby have some VERY realistic looking flowers, you’ll be surprised! And they’re still cheaper than real ones you’ll just throw away. If you’re wearing a belt or a veil, don’t get them at the bridal shop. They’ll be WAY more expensive there (trust me, I work at David’s Bridal as a wedding stylist!). I actually wore 2 veils: 1 was my sisters, who paid $200 for it, and the other I got off Amazon for $50 and it was an identical match to my sister’s $200 David’s Bridal veil AND it was longer! Tell me how that makes sense. I got my belt on Amazon for $14 and got tons of compliments on it. My headpiece was only $10. The point is, bridal shops are always more expensive. Amazon and Etsy have a ton of wedding options at way better prices. I got my earrings from Etsy, too. Instead of taking a big trip right away, Jake and I decided to save the money we were going to spend on the honeymoon and put it toward a down payment on a house. Any money we received for the wedding also went toward our house fund. We’d much rather buy a house sooner than take a big trip now. Instead, we’re going to plan a big trip for our 1 year anniversary. You don’t have to wait a full year, or not take any time off. We both took the week after the wedding off and took a smaller trip to just enjoy being together. A friend of mine got married and planned their honeymoon for 9 months later because that’s when things were the cheapest. Get creative with it! This may be a harder one, but it IS possible. What I mean by inclusive is that they have a lot for you there, so you won’t have to bring in outside vendors. My venue did my catering, all alcohol, servers, had all the tables, chairs, linens, dinnerware, and glasses. 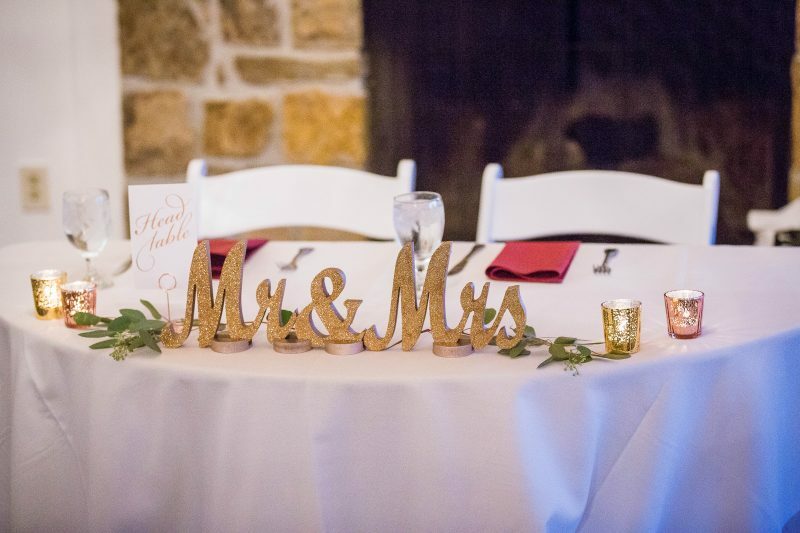 They even had decor items for me to borrow so I didn’t have to spend much on my centerpieces! They arranged my centerpieces for me, and handled all clean up. They also provided me with a wedding coordinator for the day of. 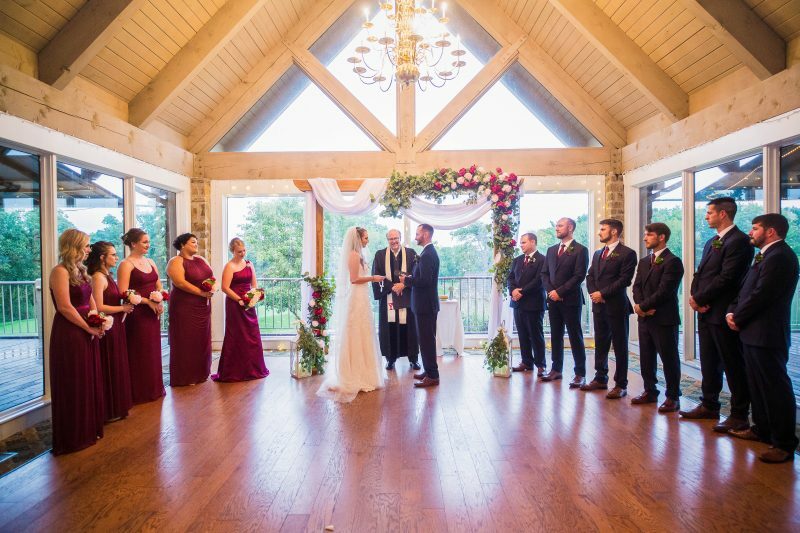 It was absolutely fantastic to have it all in one place and not have to worry about a caterer, rentals, set up or clean up. This will not only save you money, but also time and STRESS! Which is so needed! When I was getting things for the ceremony and reception, I tried to get things that I could use again for something else later. I got a big, tall vase to hold our send-off sparklers in that I knew I could put flowers in later. I can also use our card box as a decor piece. Same with our cake stand. The lanterns I got for the ceremony are now in the living room by the fire place. If it was something I really wanted to keep, I tried to think of what I could do with it later so it wasn’t just a one-time thing. There are a ton of sites that you can rent wedding decor from. Renting is a great way to cut down on costs since you won’t be keeping most of it anyway. But this doesn’t only go for decor! I used Rent the Runway to get my dress for the rehearsal dinner because I wanted something a bit fancy but I knew I’d never wear it again. So renting it was a much better option. 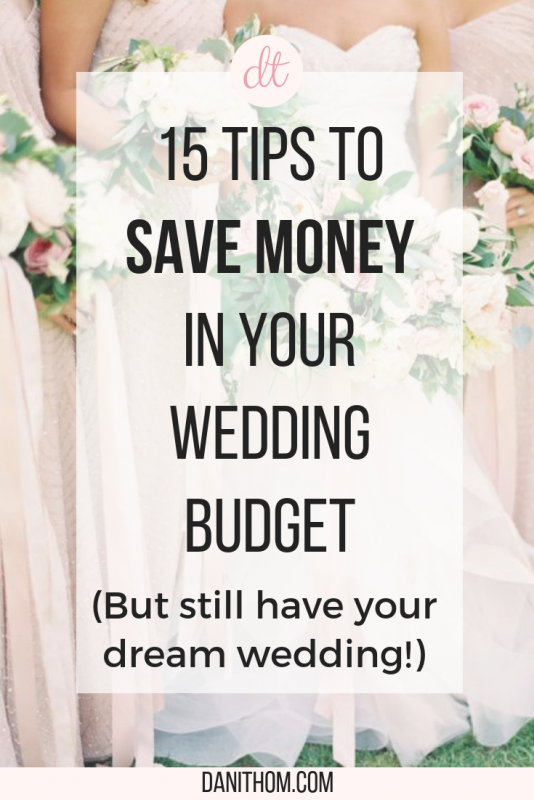 You can also rent your wedding dress, and that’s a great way to save money as well! By renting the guys suits with The Black Tux, we got Jake’s suit for FREE because he had 6 groomsmen. That alone saved us about $200! RELATED: see my full experience with Rent the Runway here. We got the guys suits from The Black Tux and got Jake’s for free because he had 6 groomsmen. 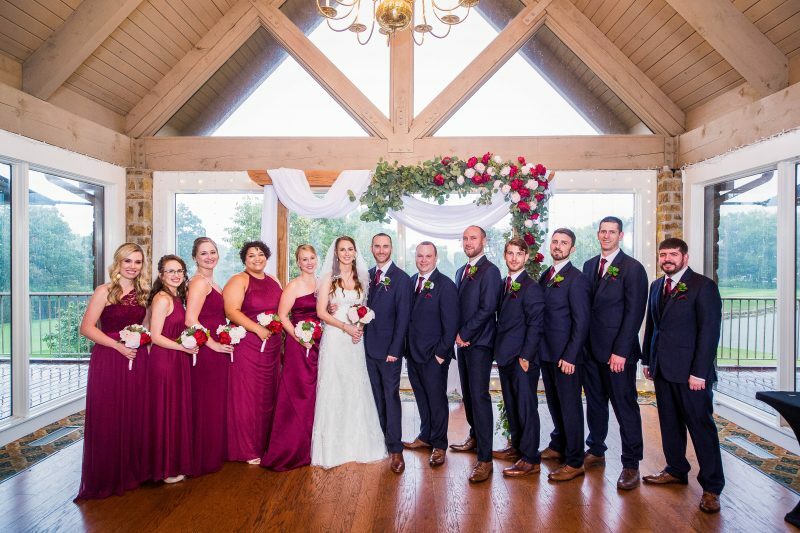 I got their ties and matching pocket squares from Amazon (the ties they rented didn’t match the dresses) and they matched the Wine color PERFECTLY. This won’t help you before the wedding, but it will help you recover! There will always be someone that needs things you got for their own wedding. I plan on selling most of the decor I got, my cupcake stands, and my dress. I don’t think I’ll ever wear my dress again, and I spent more on it than I planned to, so I’d like to get some back! All of the money I get from selling wedding things will again go toward the house fund. I’d much rather have a house than a dress than sits in my closet for years with no purpose other than sentimental value. I can’t emphasize this enough. A contingency is a built in “uh-oh” fund for your budget. There WILL be added expenses in the last 60 days you probably didn’t account for. 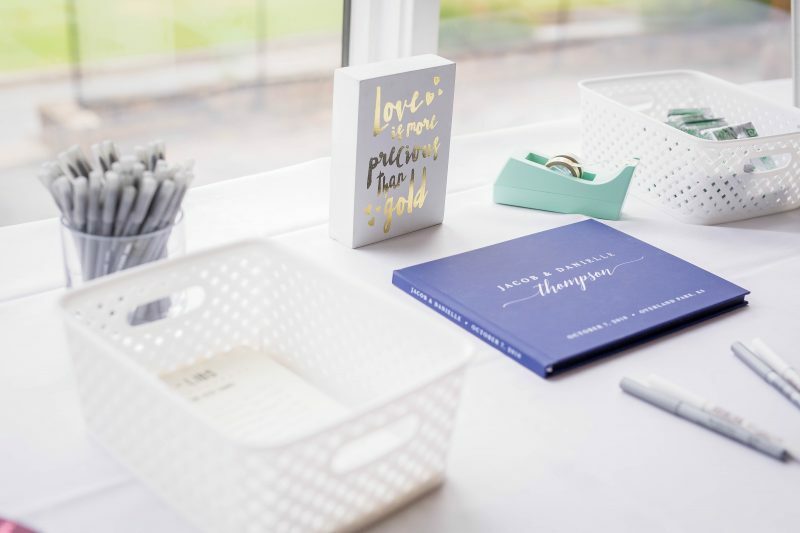 As much as I planned out my budget, there were still things that popped up, just as people told me they would. I wish I would have listened and planned ahead! The type of things I’m talking about are flower girl baskets, gifts for all of the parents, things for the ring bearers (what they carry and their gifts), candle holders to add to the centerpieces and candles for the lanterns — just to name a few so you can see these things add up! It also doesn’t help if you accidentally over-spend in other areas like I did. I kept telling myself “you only get married once so just do it”. That’s true, but it also means you’ll probably end up needing a plan B! I wanted to have a Photo Booth at the wedding, but my parents had already spent so much I literally couldn’t think of adding any more to their plate. I saw the idea of a polaroid guest book on Pinterest and LOVED IT! This was a fun way for people to take crazy pictures with silly props and keep some for themselves and share some with us. I also wasn’t planning on doing a guest book because I didn’t just want a bunch of signatures, but this was a really fun way to have one! I love the idea of everyone taking fun pictures, taping them in the book and writing us little messages with them. It will be a great thing for us to look back through for years to come. AND it was WAY less expensive. I used this polaroid camera (which has great reviews), the film for it, and these props. I got this guest book from Etsy and absolutely LOVE IT. The total cost for everything was about $200, compared to a minimum of $600 for the photo booth. Much better. This is the biggest #1 money saver we had! Originally, we were planning to invite over 150 people to our wedding. But as we got closer, we saw how expensive it would be to have so many people there. The average cost per person is around $75 for food and alcohol, and that adds up QUICK! 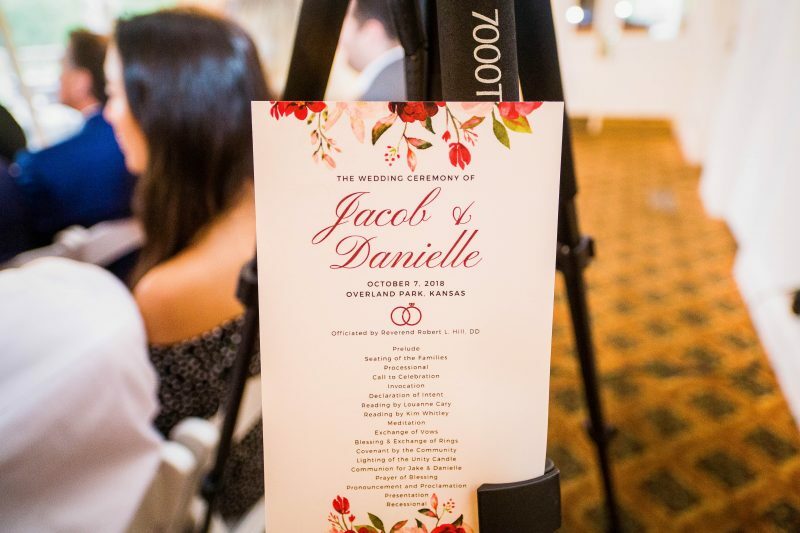 We decided to trim it down to only invite people that we saw and spoke to regularly, instead of all of our distant relatives that didn’t even know we had gotten engaged or “friends” who we barely speak to and never see. We started with about 150 and ended up with less than 70 at the end! This was definitely our best decision and it saved us thousands! We loved the intimate nature of having less people that were closer to us. This goes along with cutting the guest list. Most venues charge the same amount for a 5 year old that they charge for a 50 year old. If you have a big family with a lot of kids, that can add up very quickly! 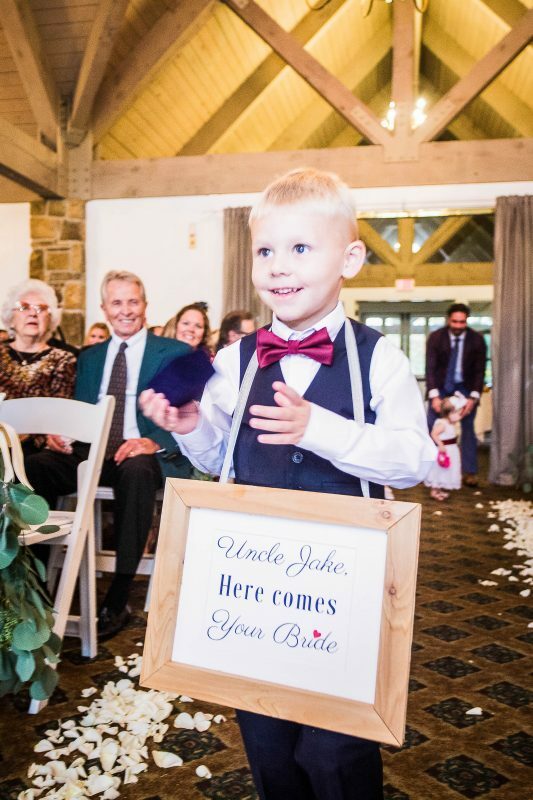 The only kids at our wedding were in the wedding; my 2 nephews, who were our ring bearers, and our 2 flower girls who were from Jake’s family. If you’re looking for a way to nicely state it, this is what I said on our wedding website: “Please leave the Littles! We adore your young children (under 16), but our venue and budget are limited. Plus, we plan to have a great party! Please make it a date night!”. No one had any issues with that, and it was a nice night out for the parents which I know they were thankful for! First off, it’s easier on you for people to choose their own food. You don’t have to worry about meal options. Second, it’s MUCH cheaper! I think people prefer a buffet style to really create their own plate. Plus it gets people up and moving around instead of sitting for a long period and getting tired. Now, take this one with some cautious advice. Some of the DIY things you see on Pinterest are done by professional people who literally do it for a living or do it very frequently. So only take on what you can handle! I know of people who have tried to DIY their own cupcakes but it was so much time and stress that they wish they just bought them. Same thing with decor. 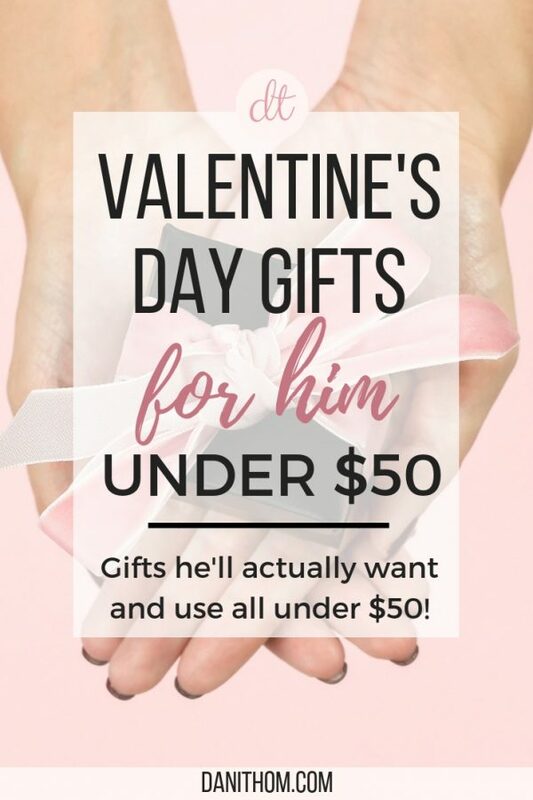 If you know you and/or your fiancée are really capable of making something exactly the way you like it, this can save you money! But it could also cost you time and money if not done right or to your standards. Proceed with caution! 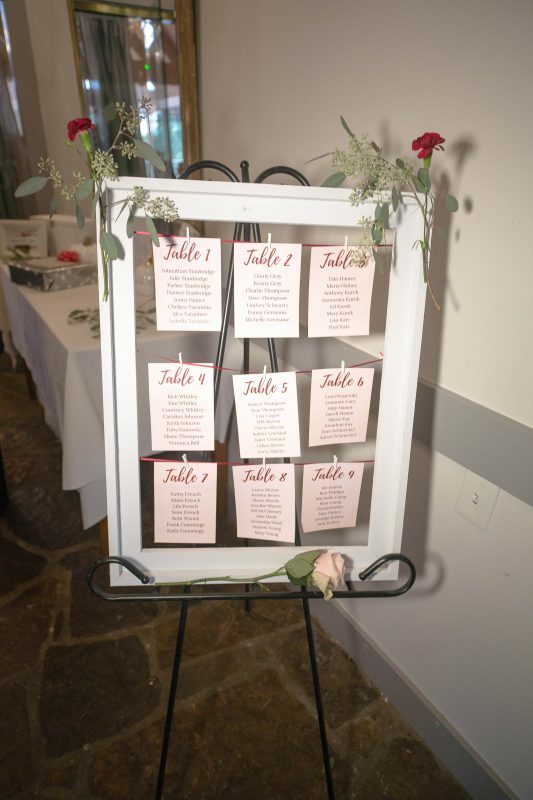 Jake and I were able to make our seating chart frame and the ring bearer photo and frame, and I designed and printed all of the weddings signs and programs which saved us a few hundred dollars. You just need a good color printer, some card stock and Canva! Jake also built the pergola that we got married under due to having to move everything inside last minute because of the rain. Favors can be really hit or miss. I’ve been to wedding where they had a ton left over, and what do you do with them?? I wasn’t going to do favors at all until I thought of a cute idea that was actually useful and inexpensive. I got custom matches, which was about $60. We did have some left over BUT I knew we would be able to use them so it didn’t bother me. If you’re thinking of doing favors, try to think of things people will actually WANT to take with them and keep. Useful things are always nice. Or skip the favors altogether! No one will miss them. Do you have any tips for cutting costs at a wedding? Share them below in the comments!